Specialist supplier of miniature bearings, SMB Bearings, is now offering a small batch relubrication service. Those looking to buy or relubricate just a few bearings with specialised grease will no longer need to meet minimum order requirements, which can often exceed 1,000. This will support cost-sensitive applications and encourage wide-spread use of specialist grease to ensure bearing longevity. This service will mean any number of standard or specialist bearings can now be sourced and relubricated with specialist grease in accordance with the customers' application. Bearing failure is commonly due to the wrong quantity or type of grease for the application. Bearings for high speed, high temperature or food grade applications are all assigned the appropriate oils and greases by the technical team at SMB Bearings, whether this be for one or 100 bearings. "Bearings with non-standard lubricants supplied by many manufacturers are generally only available in large quantities with very long delivery times. The alternative is often to use bearings with a lubricant that is not best suited to the application. This is where we come in. 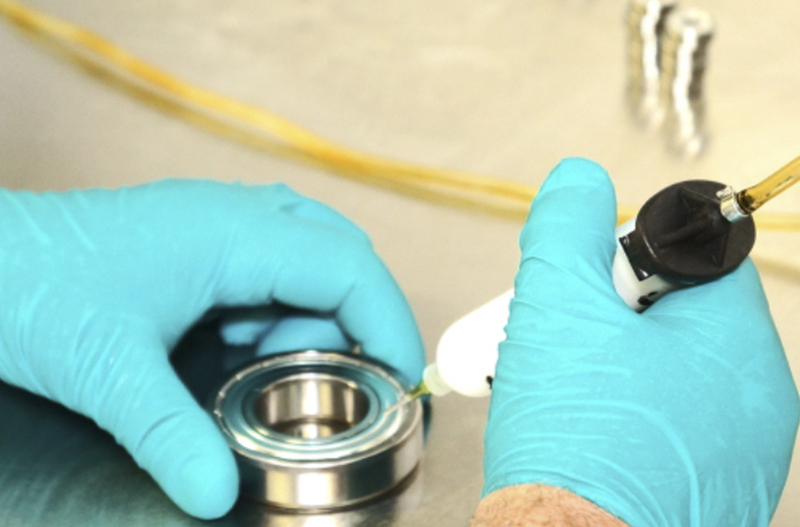 Even if customers have purchased shielded bearings that are notoriously difficult to get into, we have bespoke equipment to remove the standard lubrication, and replace it with specialised grease, regardless of quantity."